On Saturday I attended my first blogger event, I'd be lying if I said I wasn't nervous! The event was set up by the wonderul Daisy of daisydaisyxxo.co.uk in Bury St Edmunds, which fortunalty for me it was is just up the road (Yay). The morning of the event Emily from emgrace.co.uk and I decided we'd meet up in Bury and go together, this eased my nerves when it came to walking through the door! 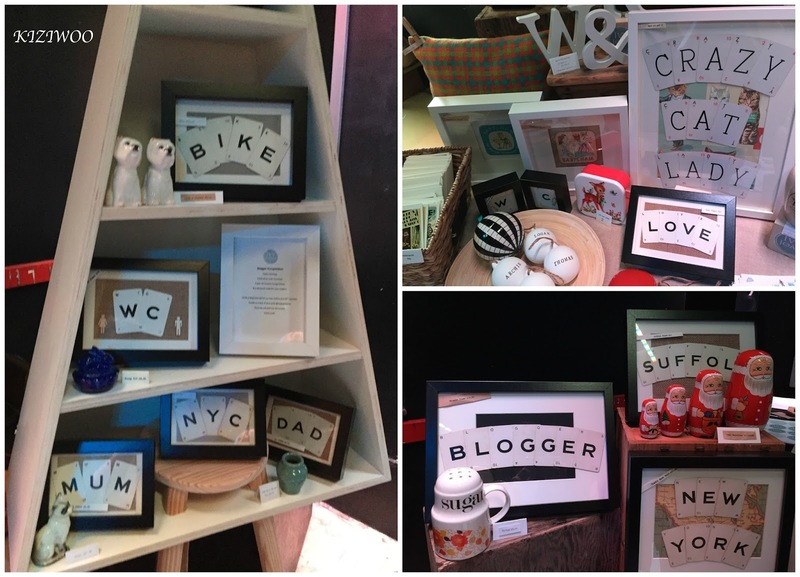 The event consisted of stall holders and a selection of areas with little goodies for us to sample. The stall holders included, Yoohoo Mail, a monthly subscription box containing stunning stationery cards and decorative items. It turned out Gemma who owns the business is Daisy's mum. She is super talented and has a background in graphic design. I believe a website is going to launch soon so in the meantime you can follow Yoohoo on Twitter. Charity Candles were also there and again a company I didn't know much about. 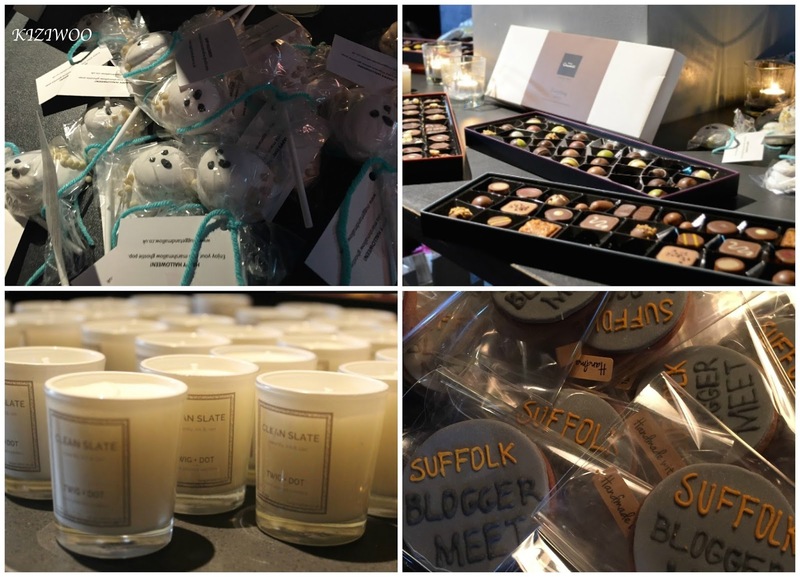 Suffolk based Charity Candles gives £1 from each sale to charity. You simple say which of the selected charities you would like it to go to. They currently support EACH, The Royal British Legion, Teenage Cancer Trust and The Dogs Trust. Ivy-Joan had the most amazing pieces of vintage homeware and fashion items for sale. 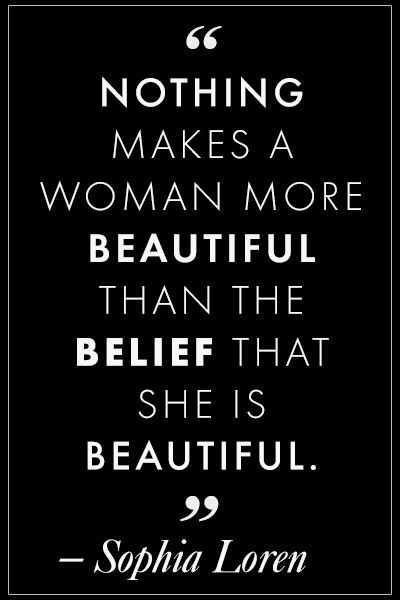 Hayley does handmade items for that personal touch as well as stocking fashion lines Vero Moda, Blade and Rose as well as Sass & Belle. I'd certainly head to Hayley's website if you're after something special for Christmas, she has the most gorgeous baubles and decorations as well as the cutest cards! I'll be back soon with details of what was in my goodie bag as well as the raffle prizes I won. The goodie bag alone is a whole post alone! 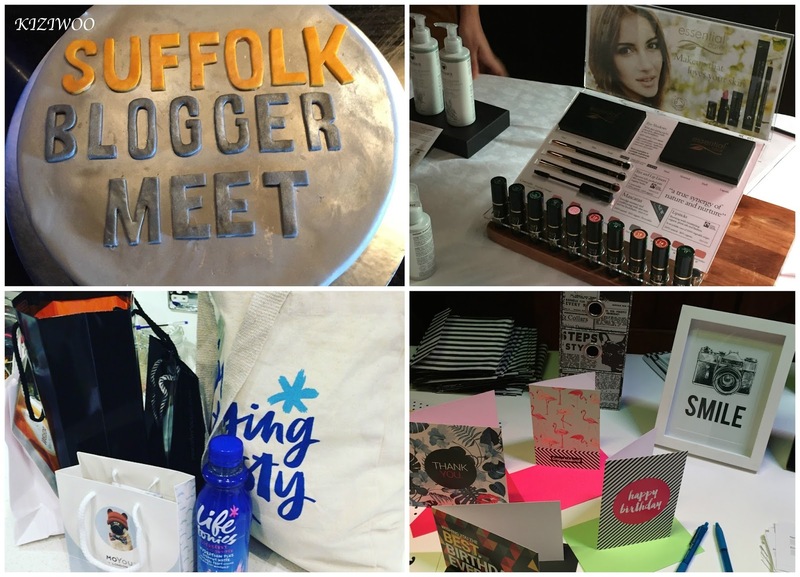 All that's left to say is a massive thank you to Daisy for all her hard work and dedication in organising the Suffolk Blogger Meet. The photos really don't show you how much work she put into making this event fabulous. 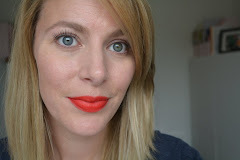 I've come away feeling like I've made friends with lovely bloggers and discovered so many new blogs to follow. i can't wait for the next event.....maybe some Christmas drinks ladies?? Oh how fun! I bet you had a great time!